브리티시 컬럼비아(BC)는 태평양 해안에 있는 캐나다의 가장 서쪽에 있는 주로 인구는 약 400만명이다. British Columbia (B.C. ), on the Pacific coast, is Canada’s westernmost province, with a population of four million. The Port of Vancouver is our gateway to the Asia-Pacific. BC 생산품 중 반가량은 목제, 신문지, 펄프와 종이를 포함한 임업 생산품으로, 캐나다에서 가장 가치 있는 목제 산업 지역이다. About one-half of all the goods produced in B.C. are forestry products, including lumber, newsprint, and pulp and paper products—the most valuable forestry industry in Canada. BC는 또한 광산, 어업, 과수원과 오카나간 밸리의 포도주 산업으로도 알려져 있다. B.C. 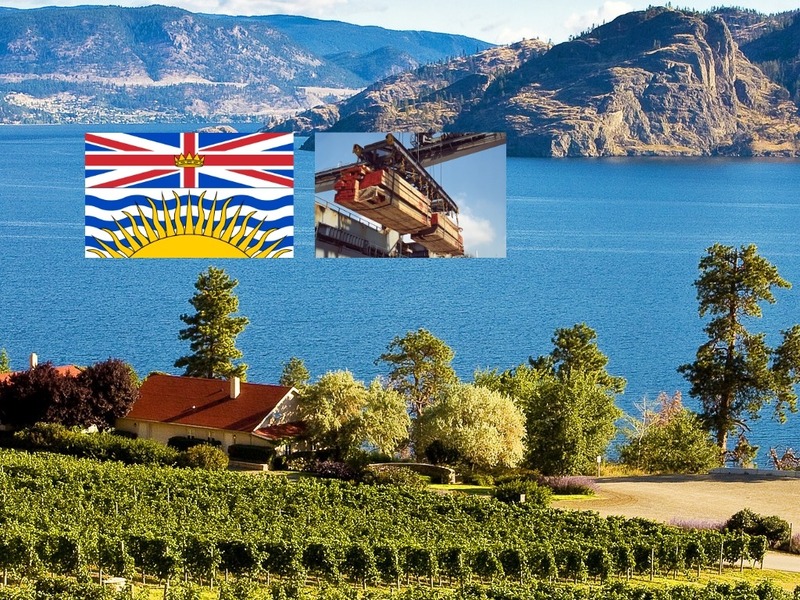 is also known for mining, fishing, and the fruit orchards and wine industry of the Okanagan Valley. BC는 캐나다에서 가장 광범위한 공원 제도를 통해 600곳의 주립공원을 보유하고 있다. B.C. has the most extensive park system in Canada, with approximately 600 provincial parks. 주의 대규모 아시아계 지역사회 특징으로, 중국어와 펀자브어는 영어 다음으로 가장 많이 쓰이는 언어다. The province’s large Asian communities have made Chinese and Punjabi the most spoken languages in the cities after English. 주도, 빅토리아는 관광중심지이자 해군의 태평양 함대 본부이다. The capital, Victoria, is a tourist centre and headquarters of the navy’s Pacific fleet. 참고: 2018년 2분기 기준 BC인구는 486만2,610명으로, 2019년에는 490만명을 넘어설 전망이다. 2018년 2분기 캐나다 통계청 추산 기준, BC에서 인구가 가장 많은 곳은 밴쿠버시로 61만명이 거주하며, 이어 써리 47만명, 버나비 22만4,000명, 리치먼드 19만명, 애보츠포드 13만5,000명, 코퀴틀람 12만8,000명 순이다. 주도, 빅토리아 인구는 8만3,000명, 인근 지역을 합친 광역 빅토리아는 34만8,000명이다.